Martin + Colin, P.C. announces a settlement for Westchester County resident injured in a car accident on I-287. Our client was taken by ambulance from the car accident location to Westchester Medical Center. After release from the emergency room, she continued to experience pain in her right hand and thumb and sought medical treatment. She complained of “use of hand” pain at the right thumb. Her physician diagnosed a right thumb strain and recommended physical therapy for her right thumb. Our client followed up with physical therapy to her right hand. The experienced car accident lawyers in our firm faced several challenges in this case. 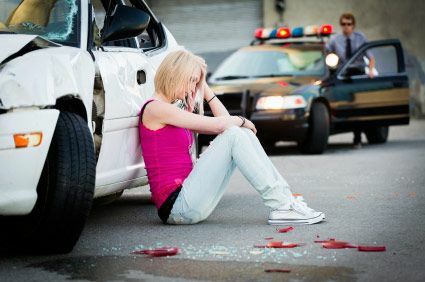 One of the most difficult: in addition to the physical pain our injured client experienced as a result of the car accident, she also sustained a serious emotional/mental health injury. Prior to the car crash, our client drove for 20 years without a single parking ticket or accident. She had never consulted with a psychologist before. After the car accident, she could not think about operating her vehicle without being overcome by a crushing anxiety that kept her awake at night and affected every aspect of her daily life. If a meeting required highway travel, our client has to cancel the appointment because she simply could not travel on highways due to the paralyzing fear. Her job required substantial driving locally, and she experienced severe anxiety whenever traveling on the highway. 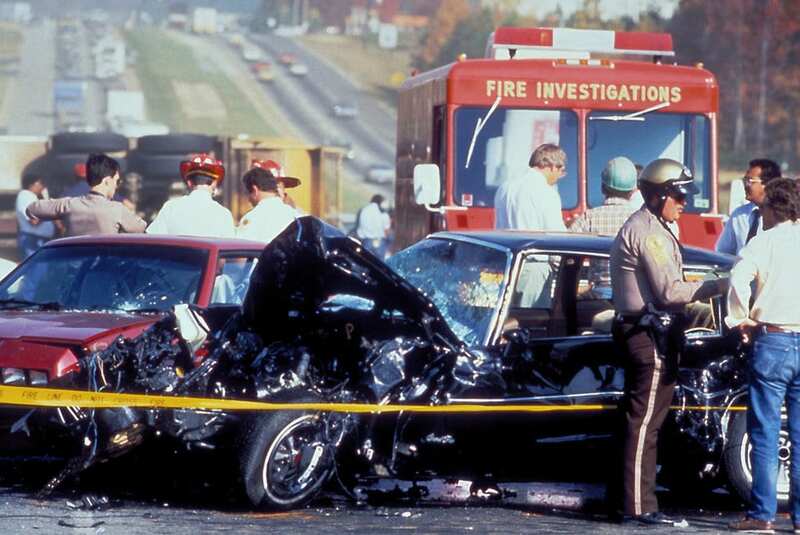 The car crash caused her to experience paralyzing fear and prevented her from driving on highways. Martin + Colin, P.C. announces a six figure settlement for a passenger injured in a car accident on State Route 84 at the intersection of State Route 23 in the Town of Cairo, County of Greene, and State of New York. Martin + Colin, P.C. announces the settlement of a Bronx car accident lawsuit which had been vigorously fought by the insurance company since it was initially filed two years ago. roadway immediately in front of our client’s vehicle, leaving our client no time to stop. The front corners of both vehicles collided into each other. Two witnesses informed the police that they saw the other driver turn around directly in front of our client’s vehicle and that there was no way our client could have stopped in time. The impact was severe and our client’s vehicle was totaled as a result of the accident. An ambulance arrived at the scene of the accident and transported our client to the Hudson Valley Hospital Center. Our injured client, the plaintiff in the lawsuit, was admitted to the emergency department as a level 2 trauma admission. At the time of the accident, our client was five (5) months pregnant. was driving eastbound, on his way home from work. As he was stopped at a traffic light at the intersection with Knollwood Road, our client’s vehicle was rear ended by another vehicle. Immediately after the accident, the injured driver sought treatment at White Plains Hospital and informed the physician that during the car crash he was thrown forward and parts of his body struck the inside of his vehicle, including his knees. He also reported neck and mid to low back pain at a level 8 out of 10, as well as left knee pain. Martin + Colin, P.C. announced a cash settlement for a driver injured in a car accident in the Village of Ossining, County of Westchester, New York. Martin Colin, P.C. announces a six figure settlement for a passenger injured in a car accident on State Route 84 at the intersection of State Route 23 in the Town of Cairo, County of Greene, and State of New York. The passenger injured in the automobile accident was a resident of Tarrytown, New York, visiting family members in Greene County in 2013. The victim suffered physical injuries in the car crash. She was transported by ambulance from the scene of the accident to Columbia Medical Hospital emergency room where she made complaints of pain in her neck, shoulder, back and was diagnosed with a broken foot. Initially, we were notified that the child protective agency had conducted a review of the file and once again determined that the “indicated” report was the proper outcome to its investigation. We continued the battle and eventually we struck a nerve. Weeks later, the New York State Office of Children and Family Services announced that a hearing had been held, that the record would be amended to “unfounded” that the file would be sealed and that the file would be closed forever. Martin Colin, P.C. announces the six-figure settlement of a Dutchess County car accident case pending in the federal court, i.e., the United States District Court in White Plains, New York. Martin Colin, P.C. announces the settlement of a very lengthy and complex lawsuit with overlapping estate litigation and family law issues. The lawsuit started in 2008, underwent 5 judge changes, and finally resolved in 2013. What took so long? The second wife contended throughout this litigation that she was entitled to more than $160,000 from both the third wife and from the estate. The third wife contended throughout this litigation that she owned nothing, and the estate owed approximately $25,000. Now, one more important fact for you to know: the estate had approximately $75,000 in assets, but after expenses that, based on priority in the law, get paid first, the estate had approximately $25,000 in assets. Martin Colin, P.C. announced that the White Plains, New York personal injury lawyers in the firm have won their motion for leave to serve a late notice of claim on a local school district. The application for leave to serve the late notice of claim was vigorously contested by the school district’s lawyers. Under New York law, a person must serve a notice of claim on a school district before that person can file a lawsuit seeking to hold the school district liable for the student’s personal injuries. Editor’s note: We are working on a series of communications, including articles, interviews, speaking engagements, etc. intended to help explain and illustrate the types of legal matters handled by our lawyers. We hope that through these communications, individuals facing legal problems will gain more insight into what they can expect during the process and what they might obtain as a final outcome. The law firm of Martin Colin, P.C. is pleased to announce that the hard work of our criminal defense lawyers was discussed in a recent article posted to the Tausch Project website. The full text has also been republished on our website. The lawyers at Martin Colin, P.C. are pleased to share with you a recent interview discussing our personal injury law practice. The interview was conducted by Voicu Mihnea Simandan and featured on his website: Simandan. The article can be found here: http://www.simandan.com/?p=9759. The full text of the conversation is also available on our website. Martin Colin, P.C. is pleased to announce that our divorce and family law practice was discussed in a recent article posted to the Primegraphix website. 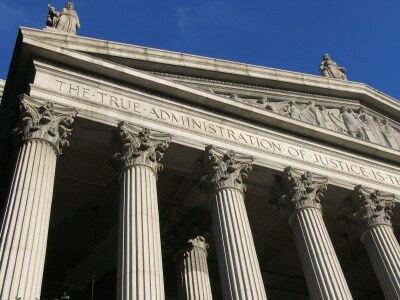 The article can be found here: http://www.primegraphix.com/legal-guidance-face-divorce. The full text has also been published on our website. Martin Colin, P.C. announces a cash settlement for two passengers injured in a car accident on I-684 in the Town of Bedford. The accident attorneys at Martin Colin, P.C. announce a cash settlement for a personal injury client, a passenger travelling on a New York City bus who was injured when the bus operator made a sharp turn while braking, causing the passenger to be thrown forward, landing face-first in the center aisle, causing a bruising to her forehead and severe knee injuries. The plaintiff was travelling on a Q-50 MTA Bus from Flushing, Queens to Pelham Bay in the Bronx. The accident happened near Bruckner Boulevard in the Bronx. law firm’s appeals was featured prominently in the April newsletter of New York City’s largest public defender’s office: i.e., the Legal Aid Society. On two different occasions in April 2013 a case handled by our law firm is chosen to be featured in the newsletter. Yeah, baby! Martin & Colin, P.C. is pleased to announce that our appeal was featured prominently in the April Newsletter of New York City’s largest public defenders office, i.e., the Legal Aid Society. The injury lawyers at Martin Colin, P.C. announce a cash settlement for a pedestrian who suffered a fractured left arm when he slipped and fell on a portion of sidewalk that was also used as the driveway entrance to an auto quick-lube business. The plaintiff was walking on the path that had been cleared of snow earlier that morning by a quick-lube employee. Apparently, a patch of ice caused the plaintiff to slip and fall. The pedestrian sustained a fractured left wrist, which was placed in a hard cast. Although the cast has been removed, he continues to experience numbness of the left arm and radiating back pain since the accident. The real estate lawyers at Martin Colin, P.C. announce the successful refinance of a $4.3 Million commercial building in the Bronx, New York. The building is a classic commercial building containing, among other tenants: a laundromat, a pharmacy, a variety (5 & Dime) store, a chinese restaurant, a jewelry store, a bakery and a check-cashing location. Martin & Colin, P.C. has obtained a reversal of a prior ruling and reinstatement of unemployment benefits for our client. Our law firm does NOT usually handle matters involving unemployment benefits. However, we are experienced courtroom attorneys, and when an established client has a legal problem, we help them whenever we can. In this case, our client is a member of a family for whom we have rendered legal services on several different occasions. Our client’s employer contested her right to collect unemployment benefits, and after a hearing, the New York State Department of Labor determined that our client was ineligible for unemployment benefits. Our law firm was asked to enter the case and assist the client, and we did so. At the conclusion, the Administrative Law Judge overruled the initial determinations of the Department of Labor and restored our client’s eligibility for unemployment benefits. Although we do not usually get involved in unemployment benefits cases, in this case we were able to obtain for our client the benefits she was entitled to and had earned. The injury lawyers at Martin Colin, P.C. announce the six-figure settlement for the passenger in a head-on car crash. Route 105 near Dennis Drive in the Town of Highland Mills. At a sharp bend in the road, the driver of a car travelling in the opposite direction lost control of her vehicle, crossed over the center line and struck our client’s vehicle head-on with great force and impact, causing serious and permanent injuries and damages to our client, the plaintiff. Our client complained of right knee and left hand pain continuously since the accident. Eventually, she underwent a right knee surgery, during which the physician repaired tears in both the lateral meniscus and the medial meniscus. Our client presented as a careful, likeable college student who would have great jury appeal, who has suffered greatly, and will continue to suffer, as a result of the defendant’s careless driving. fortune of having TWO of our past court victories cited by an appellate court in ONE decision. That’s hard to believe, but it’s true. Sometimes, our prior court victories are cited by other attorneys in their legal briefs to court. Those other attorneys and law firms bring our cases to the attention of the judges in their cases in the hope that citing our cases will help them win their cases. Of course, lawyers who utilize this process do not cite just the cases won by this law firm alone. They also cite cases won by other law firms. This is one of the most common methods used by all lawyers everywhere to strengthen their cases. But in a case decided just last month, i.e., August 2012, the Appellate Division, Second Department ruling cited not one, but two, prior cases in which the family law lawyers at Martin Colin, P.C. won substantial victories for our clients. In last month’s ruling, a total of five cases were cited. Two are ours. That’s a large accomplishment for a small law office. And a huge compliment just bestowed on us by the appeals court. law. Making matters even more difficult, the offending driver’s insurance company had financial problems, and was taken over by the New York State Insurance Department. Notwithstanding these challenges, the negligence lawyers at Martin Colin, P.C. were able to recover the maximum amount of money available on this insurance policy for the injured officer. business owner (identity withheld) in Manhattan. As part of his business operation, the owner delivers cash to several different locations throughout Manhattan and the Bronx each day. The businessman was seated in a work vehicle when NYPD police detectives approached, with guns drawn but without any probable cause, and ordered all occupants to get out of the van. While the occupants were handcuffed and seated behind the van, the detectives conducted an illegal search of the entire work vehicle. The NYPD police officers seized the owner’s van and tens of thousands of dollars in cash stored within the van, charging the business owner and all other occupants of the vehicle with drug possession. As soon as they were retained, the lawyers at Martin & Colin, P.C. aggressively pursued complete dismissal of all charges based on the business owner’s Fourth Amendment constitutional right to be free of unreasonable search and seizure. On November 10, 2011, the date trial was scheduled to begin, the New York County District Attorney’s Office conceded that the defendants had been deprived of their right to a speedy trial, and the judge dismissed all charges. Records of the case were sealed. by local police and prosecuted as a criminal. Our law firm assisted the victim in getting the criminal charges dismissed; then we filed a civil lawsuit for false arrest, false imprisonment, malicious prosecution, and other claims. The civil suit has now been settled. However, the parties agreed that all terms of the settlement would remain confidential. divorce re-trial, the trial court had ordered that the ex-wife could keep her entire civil service pension for herself, although almost all of the pension benefits accumulated during the twenty year marriage. The ex-husband appealed. 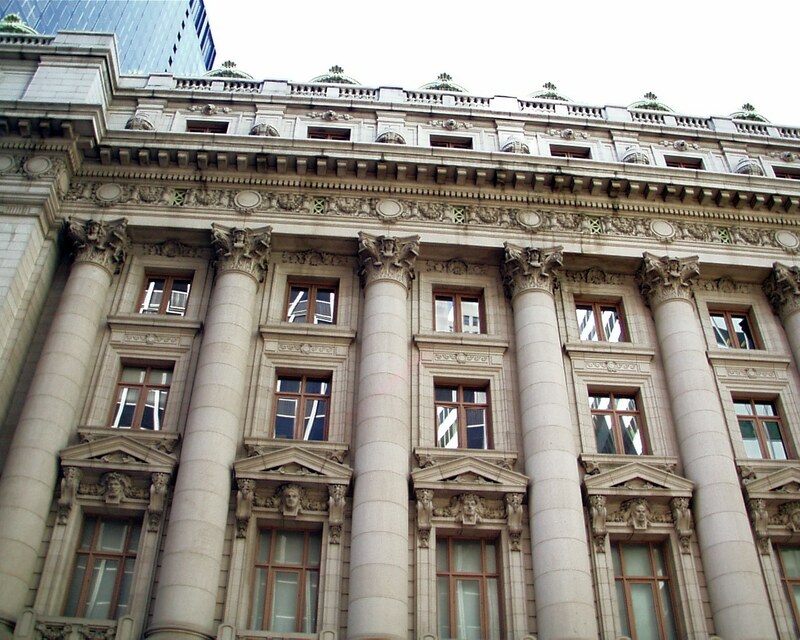 In its decision, the Appellate Division reversed each and every aspect of the trial court’s order and directed that the ex-wife’s entire pension be divided evenly between both parties. support to the child’s mother. The Family Court had denied the father’s application to reduce his court-ordered obligation to pay child care because the child was now in elementary school full-time and did not require child care. The father appealed. 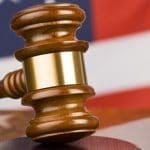 In a decision and order dated July 12, 2011, the Appellate Division, Second Department, reversed the trial court and ordered that the father receive a reduction of his childcare obligation retroactive to the date the father filed his petition. In its decision and order, the appeals court held that the father should only be required to pay his share of the child care expenses actually incurred by the mother. the child’s aunt, effective immediately. 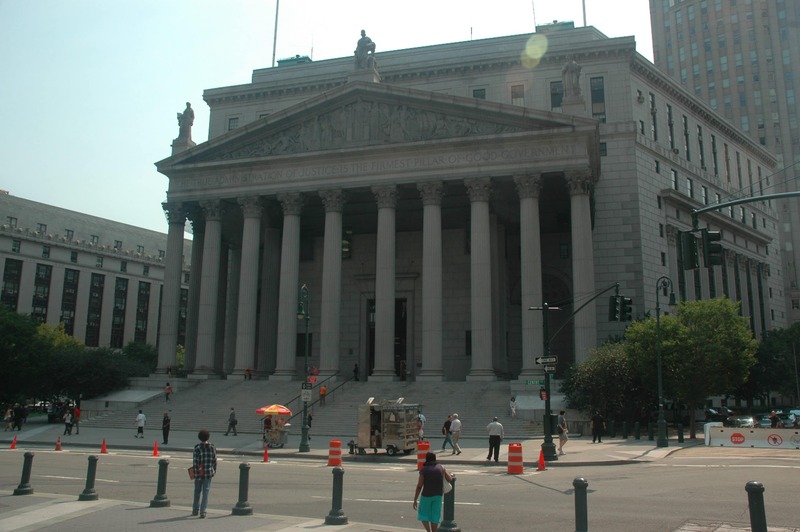 The case was especially difficult because the aunt sought to take custody away from the child’s mother (i.e., the aunt’s own sister), and it is well established law in New York State that a petitioner must demonstrate the existence of extraordinary circumstances in order for that petitioner to be awarded custody away from a parent. nine other serious criminal charges lodged against a client in the Bronx, New York. Our client expressed immediate relief that justice had been served, that the criminal case was disposed of quickly and efficiently, and that the case was resolved entirely in his favor. child support from the child’s father, who is now her ex-husband. The father had returned to court to obtain a reduction in his child support obligation based upon his claimed reduction in earnings. The trial court denied the father’s request for a downward modification of his child support obligation. other vehicle were insured by Travelers Insurance Company. The favorable settlement provides substantial compensation to our injured client but also lets him put the incident behind him without having to proceed to trial. officer (identity withheld) in Westchester County, New York. The officer had been charged with attacking another individual, while off duty, at a local summer camp. The trial was concluded in one day. Upon conclusion of the trial, the judge dismissed the charge, finding the off-duty officer was not guilty. Records of the trial were sealed.